FORT MILL, S.C. – July 17, 2018. 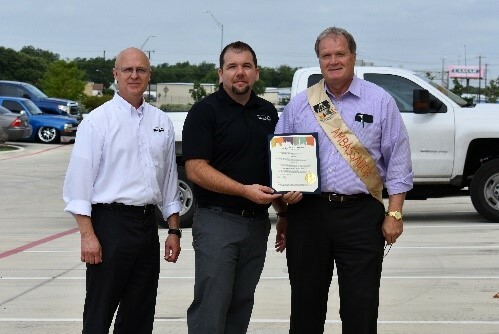 BestDrive, LLC, a commercial tire dealer and retreader focusing on Continental tire offerings, celebrated the grand opening of two locations in Texas over the last two months, its first locations in that state. 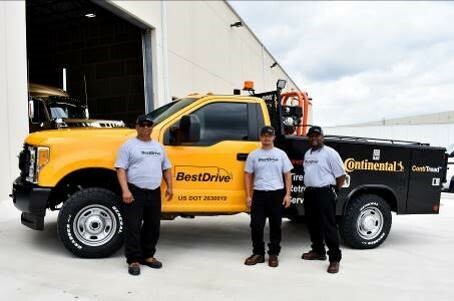 Established in 2010, BestDrive – known as Continental BestDrive in Texas – now has 24 commercial tire centers across the United States, with plans to expand into seven additional states by the end of 2019. Texas marks the company’s 14th U.S. state. 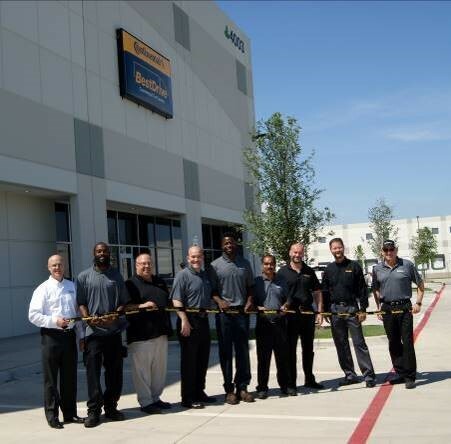 On May 10, the company celebrated the grand opening of its location in Dallas suburb Grand Prairie, a 100,000-square-foot retread shop and tire center. The Dallas location will provide new tires, services, and ContiTread™ retread tires for customers in the Dallas Fort Worth area, as well as manufacturing retreads to supply nearby BestDrive service centers. Strategically located near Texas I-30, it is ideal for access by the company’s long-haul, regional haul, and on/off-road fleet customers. The retread mega-shop has room for up to two additional curing chambers as volume increases. On June 21, the San Antonio location was inaugurated, located at the major intersection of Texas interstates 10 and 410. The 24,000-square-foot service center will distribute ContiTread™ retread tires produced at the Dallas shop, as well as providing new tires and services. San Antonio was selected to provide additional coverage in southern Texas. BestDrive plans to open additional locations in Texas in the near future. Locations have not been finalized. BestDrive commercial tire centers offer total fleet tire management with Continental, General Tire, and Ameristeel brand products, as well as other supplemental tire brands. The dealerships equip fleets with new tires and ContiTread retread solutions as part of the ContiLifeCycle program, designed to lower costs and prolong the life of a Continental tire. In addition to new and retread tires, BestDrive can help fleets select and implement innovative technology such as ContiPressureCheck™ tire pressure monitoring system (TPMS), ContiConnect™ remote digital tire monitoring, and Continental’s VDO Roadlog for ELD Mandate compliance. These solutions will help businesses reduce tire-related breakdowns, eliminate manual tire pressure checks, improve fuel efficiency, and extend the life of tires and casings. Services available at all BestDrive outlets include commercial tire mounting, dismounting, and balancing, 24-hour service, wheel refinishing, new and used wheels, air-up programs, commercial truck alignments and fleet checks. The stores also offer passenger and light truck tires, however, BestDrive is focused primarily on commercial truck service and OTR. BestDrive Dallas celebrates grand opening. 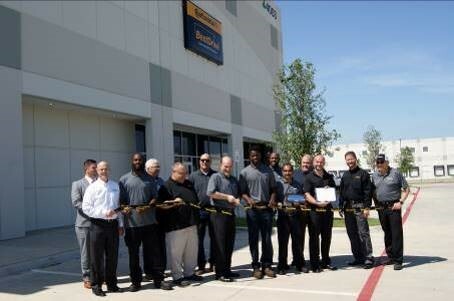 BestDrive Dallas celebrates grand opening with staff from Grand Prairie Chamber of Commerce. Al Laicer, BestDrive Regional Manager, center, cuts the ribbon. BestDrive Dallas employee Cesar Peralta and Continental EVP Paul Williams display the plaque and welcome letter from the Grand Prairie Chamber of Commerce. 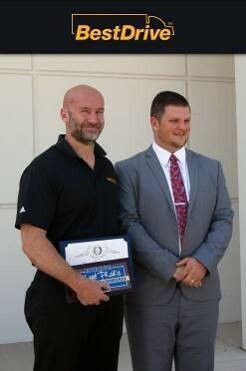 Paul Williams, Continental’s executive vice president of Commercial Vehicle Tires for the Americas region, receives the welcome letter from a staff member of the Grand Prairie Chamber of Commerce, as BestDrive Dallas employee Cesar Peralta, left, holds the plaque. Steve Postel, Continental’s Director of Retail for the Americas region, and Urbano Cantu look on. Paul Williams, Continental’s executive vice president of Commercial Vehicle Tires for the Americas region, displays the plaque and welcome letter from the Grand Prairie Chamber of Commerce, accompanied by a Chamber staff member. 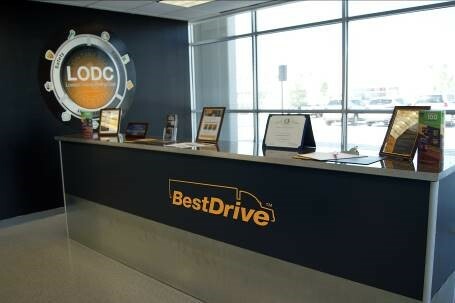 Interior of the BestDrive Dallas store. 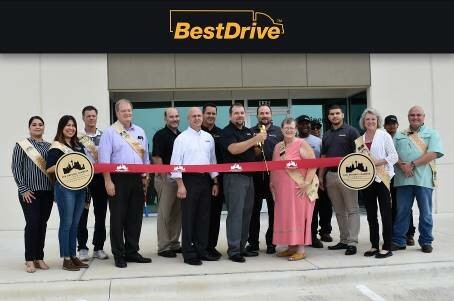 BestDrive San Antonio celebrates grand opening. 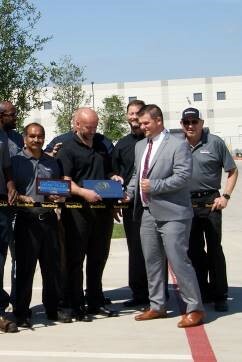 BestDrive San Antonio Operations Manager David Bunker cuts the ribbon. To his left are San Antonio Chamber of Commerce staff members, BestDrive Regional Manager Al Laicer, BestDrive Managing Director Sonny Simpson, and BestDrive National Sales Manager Jeff Wolcott. To his right are BestDrive employees and San Antonio Chamber of Commerce staff members. BestDrive Managing Director Sonny Simpson and BestDrive San Antonio Operations Manager David Bunker receive welcome letter from the San Antonio Chamber of Commerce. BestDrive San Antonio employees pose with one of the store’s service trucks. The Tire division has 24 production and development locations worldwide. As one of the leading tire manufacturers with around 54,000 employees, the division posted sales of €11.3 billion in 2017. Continental ranks among the technology leaders in tire production and offers a broad product range for passenger cars, commercial vehicles and two-wheelers. Through continuous investment in R&D, Continental makes a major contribution to safe, cost-effective and ecologically efficient mobility. The Tire division’s portfolio includes services for the tire trade and for fleet applications, as well as digital management systems for commercial vehicle tires.